Earlier this week, a video surfaced of a Kelowna RCMP officer stopping a vehicle because the passenger had made a frustrated gesture ﻿﻿﻿﻿at the officer after some poor driving on his part. It is clear in watching the video that the officer's true purpose in stopping the vehicle was to berate the passenger for his gesture. When challenged on his decision to stop the vehicle, the officer told the driver that he had stopped her for a license and insurance check. It was obvious that the officer was retroactively trying to justify what was an arbitrary and unlawful traffic stop. The officer is now under investigation. This interaction got me thinking about lawful and unlawful police stops. As a driving and criminal lawyer, I receive many calls from clients who are concerned about the police and their traffic stops. Many people are concerned about the reason why the police pulled them over in the first place. This post will explain when the police are justified in stopping your vehicle. As a driving lawyer, I receive many telephone calls from people who have questions about their traffic tickets. I have also had the benefit of listening to disputants in traffic court present their cases, without having consulted a lawyer. Some people even go so far as to advise others in the courthouse about how to dispute their cases. Helpful tip: don't take your traffic ticket dispute advice from someone who is not an experience driving lawyer. A lot of people have some common misconceptions about traffic tickets, and how to defend these traffic tickets. This post will help to dispel some of those misconceptions. Between the race to develop a marijuana "breathalyzer" and the legalization of marijuana in U.S. border states like Colorado and Washington, there has been a great deal of discussion about drug impaired driving law in British Columbia and Canada. Many groups such as MADD Canada and the Canadian Centre on Substance Abuse have been putting pressure on government to establish "per se" limits for drugs in the body. But will this really deal with the problem of drug-impaired driving? And is drug-impaired driving really a problem in Canada? 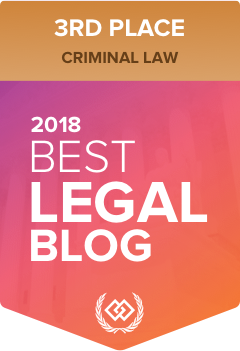 If you've been following my blog or my firm's blog, you've probably read a little bit about fairness in DUI hearings in British Columbia. There are aspects of fairness that affect all levels of the Immediate Roadside Prohibition, from dealing with the police at the roadside, to obtaining disclosure, preparing your defence, presenting your arguments, and receiving your decision. But what about what happens after you receive your decision? This is where another level of unfairness in the process comes into play. This summer has been unbelievably hot in British Columbia, and as a consequence of the heat there have been an inordinate number of forest fires. The Government has already spent over $100 Million fighting these fires, with over 200 still burning in the province. It has been costly and devastating. But some politicians have been using forest fires as an argument to justify taking your car. That's right. The BC Government is currently considering whether they can impound your car because of forest fires. Now, if you're a rational British Columbian like me, you're probably wondering what the connection between forest fires and your vehicle is. When you are pulled over and subject to an Immediate Roadside Prohibition investigation, you have the right to a second breathalyzer test at the roadside. This test is required to be conducted on a different device, and the lower of the two readings will prevail. The second test is sold to drivers by police as the mechanism by which they are entitled to challenge the results of the first test, and that they have nothing to lose by taking this. Well, that's only sometimes true. The second breathalyzer test is often a double-edged sword. When the British Columbia government introduced its new drinking and driving laws, it touted the penalties as swift and severe. It was, and still remains, the toughest drinking and driving law in Canada. Many people, including myself, were aghast at the idea that roadside justice was replacing a proper legal method of separating the innocent from the guilty that respected the presumption of innocence. The first version of the legislation was found unconstitutional in part by the BC Supreme Court, and is currently under consideration by the Supreme Court of Canada. The second version was determined to be constitutionally valid. And the third version is slowly being regulated into existence. One of the elements of the law that the government and the courts have praised is its rapid response to the social problem of drinking and driving. But, ironically, this is the biggest failing of the law.